We are doing it again in 2019! 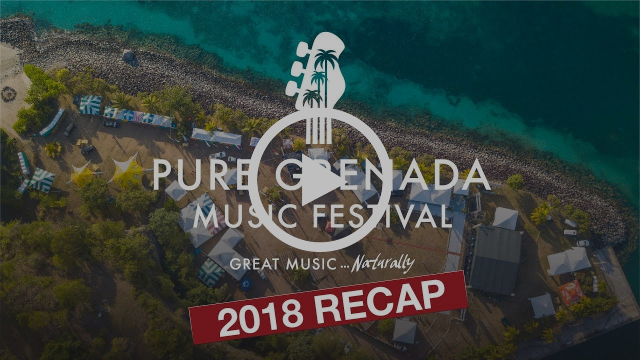 May 3rd- 5th2019 are the confirmed dates of the next Pure Grenada Music Festival– the annual live music event which has become a staple on the entertainment calendar for Grenadians and music lovers regionally and internationally. The steering committee is especially pleased by the early announcement, citing it as progress on the part of the team to respond to this particular request by numerous patrons. The event will be the fourth of its kind, having recently concluded the third annual 3-day event with much success. The Pure Grenada Music Festival2018, the committee says, provided a perfect combination of location, lineup and signature quality delivery. On the edge of the picturesque St Georges harbour, the audience was treated to spectacular performances from international artistes Morgan Heritage, Chrisette Michele, Alison Hinds, The Caribbean Queen, Protoje, Jah9, Daley, and Adrian Stern. 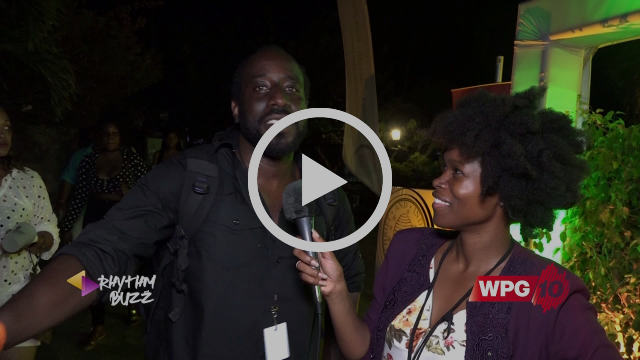 The Pure Grenada Music Festival 2018 also provided an international platform for 15 quality Grenadian acts at varying levels of their career, namely: Luni Sparkand Electrify, Josh Berkely, Sabrina Francis, A#keem, Zorina, Godson Browne with Zamar band, Jonathan Francis, Thamara Songbird St Bernard, Black Iron, LION PAW MUSIC, Nekoyan Sydel Bain, Tammy Baldeo, Jasmine Shenelle Murray and Loxton Mitchell. Aside from a glorious 3 day musical experience,Music and Beyondthrough the Pure Grenada Music Festivalis mandated to create viable avenues for artistic expression and development of musicians in Grenada, Carriacou and Petite Martinique. Over100Grenadian musicians, band members included, were provided with the coveted opportunity to make their mark in the music industry. Separate surveys conducted by the Grenada Tourism Authority and the PGMF team confirmed a high visitor presence (41%) at the festival, which speaks to impact on Grenada’s tourism product and potential economic benefit to the nation. Other findings included a high level of appreciation for local offerings specifically culture (56.8%) and food (48.6%). 57% of patrons also confirmed their attendance to the next event supporting the often repeated expression that the festival must continue. Successes to date, the committee acknowledges as an achievement for which the festival’s partners – The Government of Grenada, Grenada Tourism Authority, Port Louis Estates & Mt Cinnamon Hotel, Camper & Nicholsons Port Louis Marina; Sponsors, Donors, Volunteers and Media - must be given credit. Continued growth and sustainability is therefore dependent on maintaining these critical relationships, says the Chairman. It's A Wrap and WOW, what a fantastic #PureGrenada #MusicFestival2018! Ground breaking performances from international and local artistes and YOU, our partners, sponsors, friends and audience, were unbelievable. Thank you for supporting us in this third edition of our event. 2019 here we come!! Morgan Heritage, Chrisette Michele, Alison Hinds, The Caribbean Queen, Protoje, Jah9, Daley, Adrian Stern Luni Spark & Electrify, Sabrina Francis, Josh Berkeley, A#keem, LION PAW MUSIC, D UNIT BAND, Zorina, Thamara St. Bernard, Jonathan Francis, Black Iron, #GodsonAndZamar, Nekoyan Sydel Bain, Tammy Baldeo, Jasmine Shenelle Murray and Loxton Mitchell. Register NOW: https://goo.gl/forms/slGve9r2FepcRYK73 for this half day workshop providing a basic intro on how to record vocals like a pro. If you are an aspiring or established producer, engineer, mixer, or even a recording artist, songwriter or otherwise connected to recorded music, this course is a primary foundation for your art and craft. Helge Van Dyk - Swiss Engineer, Recording Producer with several years of experience in the industry. Thank you to our educational partner St. George's University. Albums will be regularly updated so keep visiting! for your chance to WIN a PGMF 2019 Festival Pass. Help us to build a better festival each year. Reggae Night Front Stage, SOLD OUT!! Pure Grenada Music Festival Box Office in Port Louis. The Pure Grenada Music Festival, April 13 - 15, Port Louis Lawn - the only place to be! 3 Epic Nights! Where Will You Be?